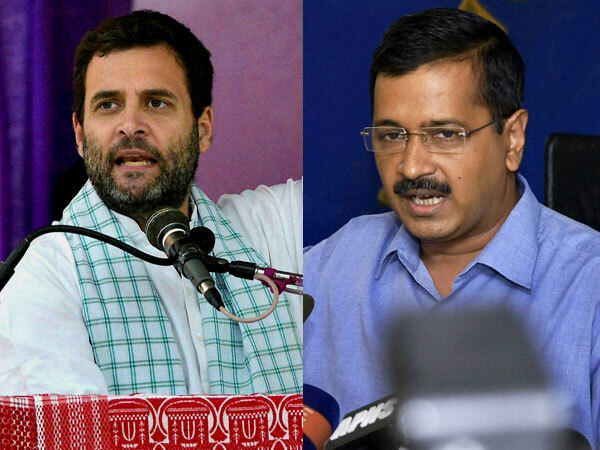 New Delhi sources added that Aam Aadmi Party on Monday attacked Congress president Rahul Gandhi for criticizing Chief Minister Arvind Kejriwal over his sit-in at the Lieutenant Governor's office. Meanwhile when talking to reporters in New Delhi, Aam Aadmi Party Rajya Sabha MP Sanjay Singh said that Rahul Gandhi is speaking the "language of BJP", challenging him to ask his Delhi unit's leaders to go on hunger strike for even two days. As per report previously in the day, Gandhi tweeted, "Delhi CM, sitting in dharna at LG office and BJP sitting in dharna at CM residence, Delhi bureaucrats addressing press conferences. PM turns a blind eye to the anarchy and rather nudges chaos and disorder. People of Delhi are the victims, as this drama plays out." Moreover another AAP leader Saurabh Bharadwaj asked the Congress president that instead of listening to Delhi Pradesh Congress Committee chief Ajay Maken, he should talk to his elected Puducherry chief minister. Further Kejriwal, along with his colleagues, have been at Lieutenant Governor Anil Baijal's office since June 13, demanding a direction to IAS officers to end what the AAP describes a "strike" and approval of the doorstep ration delivery scheme.